The campus visit is the golden opportunity to cement the emotional commitments of prospective students and their parents. Visits offer your greatest opportunity to capture the magic that is unique to your college. College and universities know this. They recognize the importance of creating and implementing a successful campus visit program. 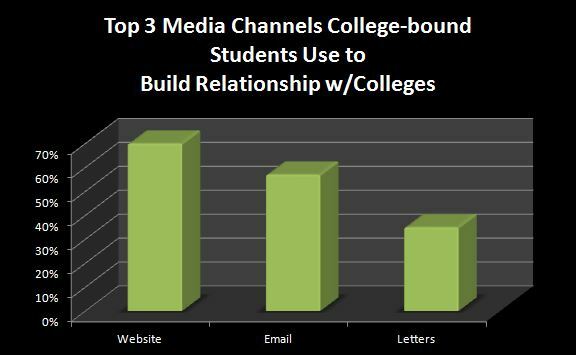 They know that visits that excite the students they are recruiting are very likely to lead to enrollment. And, they are well aware that a single bad experience during a campus tour or visit can completely derail a student’s plan to enroll. These are well-known facts in our industry, yet college-bound students say that colleges do not differentiate themselves through their tour and visit programs. In our national co-sponsored studies, and through focus group research we conduct, 60% of students say that campus tours are “all the same,” and they don’t consider that a good thing. Students tell us that most don’t generate any more or less excitement than all of the others they experienced. Over 65% of college-bound students participating in our most recent national co-sponsored study, “Emotional Motivators,” visited four or more colleges during their college search. You might call them “experts” in the college visit experience. And they have very strong opinions about what colleges are getting right, and wrong, with their college visits programs. What do students say makes for a winning campus visit? 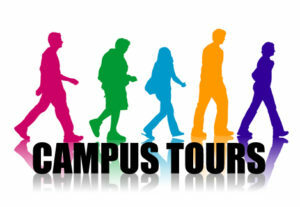 However, some colleges are finding ways to personalize group tours. “The college I chose gave this great tour. Everyone in the group had a lot in common and we saw places we all cared about. I even made friends with some of the other students on the tour,” said one recently enrolled student. Grouping like-minded students on tours is an effective strategy and can be implemented in a number of ways. Simply asking prospective students a few questions prior to their scheduled visit can determine which group would be most effective. Who is the most important member of your team when it comes to having a winning campus visit program? Your current students! Tour guides, student ambassadors, student employees, and, yes, the students hanging out on the quad (or wherever your students tend to congregate) are your greatest assets. College-bound students tell us that interaction with current students on a campus plays a critical role in their college selection decision. It gives them a feel for what their life will be like if they enroll. Prospective students respond very favorably to current students who are friendly, enthusiastic, happy and welcoming. 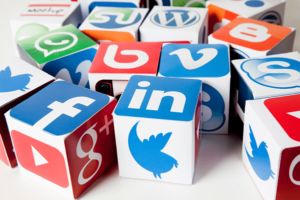 Some of our clients have found creative ways to encourage such interactions. One college hosts extracurricular fairs on the same days tours are held. The college walkways are lined with student-manned tables and booths representing the various organizations and opportunities for new students to get involved in campus life. “All these students were talking to me and encouraging me to join their club. I felt like they really wanted to get to know me. That’s when I knew this was the place for me,” described one student. Another college uses social media and on-campus marketing efforts to encourage student interaction with visiting newcomers. According the Director of Admission the strategy has been very effective. “We remind the students of how they felt when they first visited our campus and ask them to go out of their way to be friendly. It is great to see so many of our students proudly talking about our college to our visitors. The unexpected bonus is that it has served as a subtle reminder to the staff and faculty that their interactions are important, too,” she said. The #1 MUST DO on your list! During a campus visit about one-half of prospective students see and experience things about the college that they find unappealing. This finding may be expected since all students are not going to like everything they see at all of the campuses they visit. What is more concerning is that only 13% of students say that an admission counselor ever inquired if they had seen or experienced anything the student found unappealing or concerning about their campus. You are missing a key opportunity to address misconceptions and overcome objections if you, like many colleges, aren’t asking what students liked and didn’t like, about what they experienced during their visit. Simply asking, “How was your tour?” isn’t enough. Probe for the specifics of what they did and did not like. If you don’t ask, they won’t tell and you will never know the real reason they didn’t enroll. We have kicked off our series of one-day intensive Yield Season Counselor Training Workshops on host college campuses across the country. We just completed a workshop at Drew University in New Jersey (thanks Bob, Kay and Heather for being the gracious hosts to the counselors from surrounding colleges who attended). And we have workshops scheduled in Kansas City (at Rockhurst University on January 16th), Atlanta (at Oglethorpe University on January 18th), Greeneville, TN (Tusculum College on January 23rd). There will be more. We are talking to colleges around the country about being a host site (there are incentives that make being a host site very attractive so contact us if you have an interest hosting a workshop). Whether you are a host college or not this is a very affordable workshop designed to benefit seasoned counselors just as much as counselors who are going through their first full recruiting cycle. Counselors you send will return home with skills and techniques that can be shared with the whole admission team. Adopt a student-centric approach to recruiting. Reveal the needs, preferences, motivations, and perceptions of prospective students. More effectively present the value of their college based on what the student (and parent) perceives as being most valuable. Manage the perceptions and opinions that prospective students form about their college. Uncover hidden influences that will impact a student’s enrollment decision. Learn how to differentiate your college. Create and foster relationships with students that will lead to enrollment. Discover the true influence of cost and isolate factors that will outweigh cost. Enlist the support and influence of parents. Share their new skills and techniques with the entire admission team. 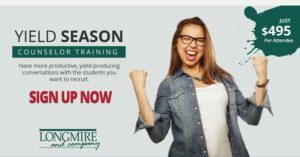 The Bottom Line: You can up your game this yield season for a minimal investment in time and money and a maximum return in your enrollment. If you are interested in attending a workshop, suggesting a location, or even hosting a workshop, ask for details here. There is no doubt that Andrew did a great job of enthusiastically describing several key features of the renowned university he represents, but did he move the student closer to enrollment? Probably not and here’s why: A feature is not a benefit. You know that list of special attributes of your college that you point out to every prospective student? It may be entirely meaningless to them. Worse, they may be totally tuning you out while you are droning on about things they don’t care about. Simple Fix: Probe to uncover what is of value to the prospective student. In any conversation you have with a prospective student, whether it’s your first or your fifth, and regardless of where you are in the recruiting cycle, you need to probe. You HAVE to ask many questions. Most counselors think they already do this. 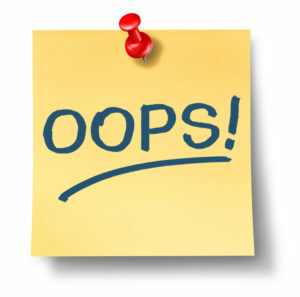 But in our training workshops with admissions counselors across the country, we see two common mistakes. First, the questions being asked don’t penetrate deeply enough to uncover all of the student’s motivations, assumptions, concerns, preferences and influences in their college selection decision. Secondly, we see questions asked that do little more than give the counselor an opportunity to talk about the college. The key is to turn the focus of the conversation toward the individual student. Information you provide about the college must relate to only those things the student has told you are important in their college selection decision or, frankly, it is meaningless. We have a theory that we share with counselors: To have a relevant conversation we must discover what a student is thinking. To be more meaningful we must know what a student is feeling. A conversation without relevance and meaning is just talk. When you have asked enough questions to have a full understanding of the student’s unique preferences, you are ready to talk about your college and demonstrate how your institution can best meet their individual needs. In our Interactive Counselor Training Workshops we teach counselors to probe and uncover key factors that will motivate a student to select your college over all others. For instance, if you ask about the importance of distance-from-home in selecting a college, and they say they are willing to go anywhere, you’ve just determined that distance-from-home is neither going to be a deal-breaker nor a strong perceived value of your institution. In that case, you can close that issue and move on. There is an art to probing. But it’s also an acquired skill that can be learned and perfected. We have helped counselors master the art of probing in a manner that is so effortless that at the end of the exchange the student describes the encounter as a “great conversation.” In the process, the student has handed the recruiter every tool he or she needs to present the value of the college in perfect alignment to what the student will perceive as being valuable. More importantly, the student feels understood and valued. So, last year, we conducted a series of one-day intensive Yield Season Counselor Training workshops on host college campuses across the country. We held workshops on the campuses of Eastern Kentucky, Guilford, Westminster (PA), Rosemont, University of Mary Washington, and others. Colleges from the surrounding areas sent counselors (many driving three hours) to these events. They loved it and so did we! We are kicking off our first yield season workshop this season at Drew University in New Jersey on December 12th. We are talking to colleges around the country about being a host site (there are incentives that make being a host site very attractive so contact us if you have an interest hosting a workshop). We help colleges with their recruiting efforts every day. If we can help you please call me or any member of our team, Continue the conversation on Twitter @LongmireCo. For more information about Longmire and Company and the tools we have to offer, click here. Be sure to subscribe to Versions of Conversion today so you don’t miss any of this highly-valuable information. Bob Longmire is President of Longmire and Company, Inc. He is a recognized expert on the topic of how prospective students and parents form their college selection decisions – and how colleges can use that knowledge to grow and control their enrollment. He can be reached at (913) 492-1265, ext 709 or at blongmire@longmire-co.com. Connect with Bob at Linkedin/in/boblongmire. Preliminary findings from our latest national co-sponsored higher education study are definitive on this subject: Your prospective students want/need you to understand the feelings and emotions they are experiencing as they navigate the college selection process. Over 10,000 recently enrolled college students have revealed to us the specific emotions they encountered while searching for the right college. More importantly, they are sharing their perceptions of what the colleges they considered did, and did not do, to support their feelings and how that influenced their ultimate college choice. Of course, we are all well aware of the range of emotions that envelop prospective students during their college selection process. That is not news. What the “Emotional Motivators“ national co-sponsored study uncovers is how you can increase and control your enrollment by getting a deep and accurate understanding of how students really feel about your college and what you can do to channel those emotions. So, what new insights does “Emotional Motivators” offer that you can use right now? 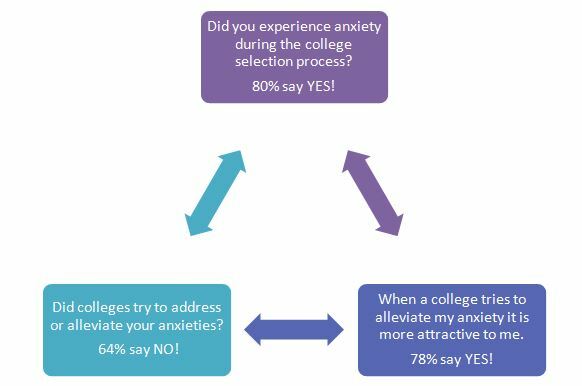 What happens when a college reaches out to address and alleviate anxiety? An overwhelming 78% of students tell us that it makes the college more attractive to them. “Emotional Motivators” takes a deeper dive into this topic and asks students what advice, actions, experiences or information provided by colleges helped alleviate their stress. These may seem obvious but it’s amazing how many colleges fail to practice these proven behaviors that will serve a prospective student and parents well. Every student has a unique combination of needs, preferences, perceptions and motivations. Identifying and dealing with all of them enables the college to have a deeper and stronger relationship with the prospective student. Uncovering them requires that the college focus on the student rather than the institution. There are communication techniques your staff can learn that will help them feel confident about reaching out to prospective students to ask the right questions. This is one of the core techniques we teach in the Interactive Counselor Training Workshops we hold on college campuses throughout the country. 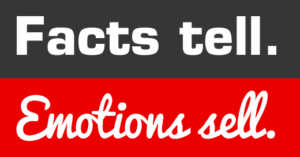 We’ll be sharing more insights from “Emotional Motivators” in upcoming blog posts but if you want to capture this powerful data about what students think and feel about your college, there is still time to join a prestigious list of co-sponsoring colleges and universities, large and small, and participate in this study. Co-sponsors find our studies valuable because of the wealth of new insight they gain about their individual pools of prospective students – insight they can use to drive action and change. As a co-sponsor you receive a comprehensive set of tabulations relating to your pool of students, as well comparative data of others in your cohort and other market segments. You’ll also receive the national summary report before its widespread release. 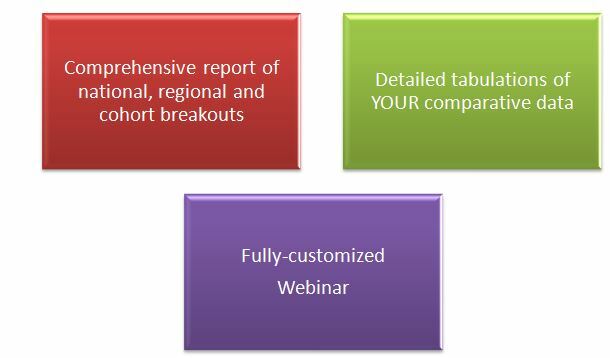 In addition, Longmire and Company Enrollment Strategists will prepare and deliver a fully-customized webinar to review your individual findings and offer recommendations for specific actions you can take to improve your communications, conversations and interactions with prospective students. For these webinars co-sponsors often assemble staff from admissions, marketing, financial aid and faculty to benefit from the new perspectives, ideas and actions that these studies yield. We have been told many times by colleges that the webinar alone is worth the small cost of getting on board! You get a deeper level of insight on the pool of prospective students you were working for 2017 and get a clear understanding of how you were or weren’t tripping their trigger. You can click here for a video with all the details.